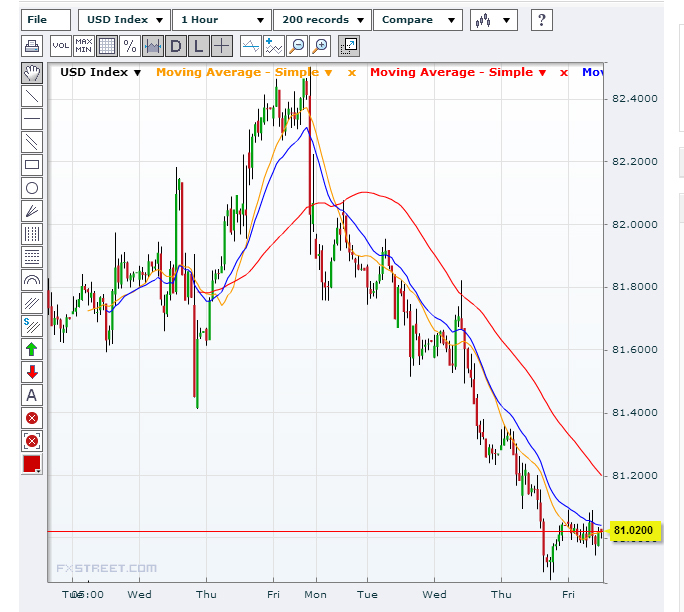 The US dollar has taken something of a battering this week, after 5 consecutive losing sessions. Uncertainty over Fed tapering, signs of improvement in the European and Chinese economies, and a strengthening Aussie have all contrived to drag the dollar down this week. The widespread uncertainty among traders about how soon the Federal Reserve will start reducing its stimulus has been the main factor in the dollar’s decline. At the same time, there have been some encouraging signs of recovery in Europe and China, and this has given the GBP, the EUR, and particularly the AUD a leg-up in the last week. The release of Chinese factory data, which showed an unexpected rise in exports and imports, directly affecting the currency of one of China’s most important trading partners, Australia. The downtrend began at the end of last week with the release of the US Nonfarm payroll number, which was weaker than anticipated, and showed that employers were slowing their pace of hiring throughout July. However, there could be a ray of hope in sight for the dollar if forthcoming US data releases, such as retail sales, are stronger than expected. In an index against a basket of six major currencies, the dollar hit a low of 80.868, just short of its June low of 80.498. However, with the Fed set to begin reducing its stimulus programme at some point in the near future, it’s unlikely it will go any lower. Thursday’s jobless claims figures suggested that the US job market may be recovering, albeit slowly, and the Fed will be looking for stronger signs of recovery before commencing the tapering process. Stronger employment data would have been a cue for the Fed to begin cutting its $85bn-a-month bond buying programme, but this plan now appears to be on hold.